Apr 04, 2017: Need help with headphone and microphone selection. Also phantom power. 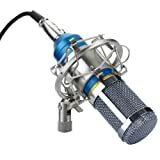 Oct 09, 2017: What podcast equipment do I need?